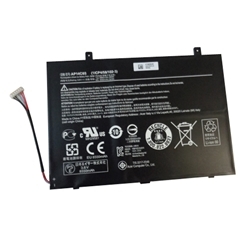 Description: New genuine Acer laptop tablet battery. 3.8V, 8865mAh, 34Wh, 3 cell. Compatible Part #'s: AP14C8S, (1ICP4/58/102-3), KT.0030G.005.